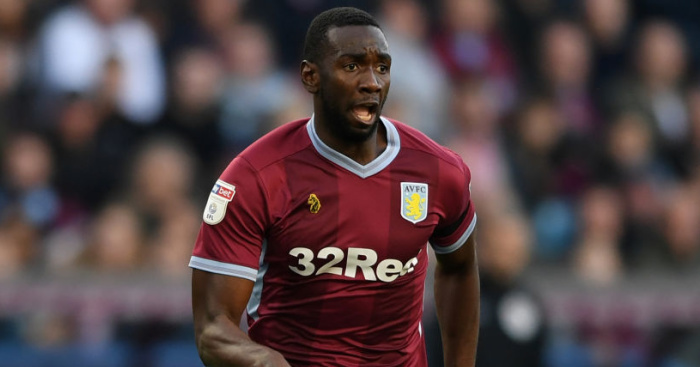 Everton winger Yannick Bolasie appears unlikely to get his wish of regaining his place in the squad after cutting short his loan spell at Aston Villa without consulting manager Marco Silva. The 29-year-old was farmed out to the Sky Bet Championship club in the summer after making just 17 appearances in the previous campaign having come back from a year out with a serious knee injury. Bolasie played 21 times for Villa, currently 13th in the Championship, with nine starts and two goals, before deciding to exercise an option in his loan agreement to return to Everton. However, he did so without consulting Silva, who already has too many players to accommodate and admits he is unlikely to sign anyone in this window unless he can offload a few fringe players. Asked whether he had been consulted by the player, who has played just 32 times for Everton since his £25million signing from Crystal Palace in August 2016, about quitting Villa the Toffees boss said: “No. It was Bolasie’s decision to come back. He had this option in the agreement and he took that decision. “In the end, he had contact with our board – I know everything what has happened and I know what is in his mind about taking this decision. “I spoke with him when he arrived here at Finch Farm but not before he took the decision, no. “It is not a complication, not at all. He is a good professional, we took that decision at the beginning of the season – we knew he had a bad injury – and he lost some weeks in the pre-season. “Now he has come back we will take a decision again. Let’s see what will happen until the end of the market. “We are here to support him and to try to find the best solution for him and the football club. Bolasie’s return adds another player to a squad which Silva is trying to trim in order to bring in much-needed reinforcements. The manager, having admitted a week ago there were not the “financial conditions” for him to be active in January, reiterated he was unlikely to make any signings. “If something special happens with our players and they leave the club we have a solution to sign new players. If not it will be really difficult,” he said. Silva dismissed claims midfielder Idrissa Gueye had agreed personal terms on a move to Ligue 1 champions Paris St Germain. “For us it is new. We don’t have an offer. Not one club has made one offer to Gana,” he added. The post Confusion over future of £25m Everton man after early loan termination appeared first on teamtalk.com.